One of the most anticipated events news Google I / O was the launch of the new operating system from Google, Android P, which is now available for download in beta and promises to change the habits of users to their cell, the hand of artificial intelligence. The final version is planned for next August, date in which the true name of the system will also be known (probably some candy or candy that begins with P), but the advance already allows to prove the main novelties of the system. Google opens its doors. Usually, the previous versions are usually restricted to their own cell phones (the Pixel models), but for this release, there are seven brands that can operate with the system: Nokia, Vivo, OnePlus, Xiaomi, Sony, Oppo, and Essential. The download can be made on the Android page. As explained Sameer Samat, vice president of Google Management, in a conference, the opening benefits the operating system “because the user experience is different in Argentina or China.” Thus, it evaluates the variants that can be provided by equipment manufacturers for the different markets. Greater battery efficiency. Google assured that the new configuration of the system allows a saving of up to 30% of the load, pointing to one of the main considerations and complaints on the part of the users. 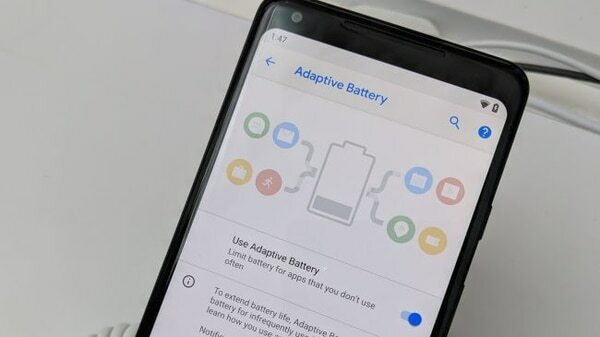 The executives explained that Android P “puts to sleep” the applications that, with the use of artificial intelligence, predict that they will not be used in the next hours or days so that the processor does not lose energy in them. Sometimes (not in all cities), it is enough to check the weather forecast once a day, or even less. Thus, the system may not dedicate resources to it during the rest of the day. ” Digital well-being”. The new Android also comes with “Digital Wellbeing”, one of the most representative initiatives launched in this event and one of the three pillars of the launch, together with Intelligence and Simplicity. As the main tool, the system will come with a dashboard that shows what are the most used applications in the device and how much time has passed (or lost, as the case may be), so that the user is aware of the hours spent. “It’s interactive, you can analyze trends, maybe I see that on the weekend I use my mail a lot, and I realize details like those I do not want to keep,” Sameer said. You can also set an hour from which the phone starts to lower the tone (before sleep, with the Wind Down function) and set time limits for certain applications, although with some flexibility. “We are not going to block apps, but we will put the user in control of what he does,” the vice president added. I came home, goodbye to work. In Android P you can also separate personal applications and work, to cancel the second to get home or be with family or friends. 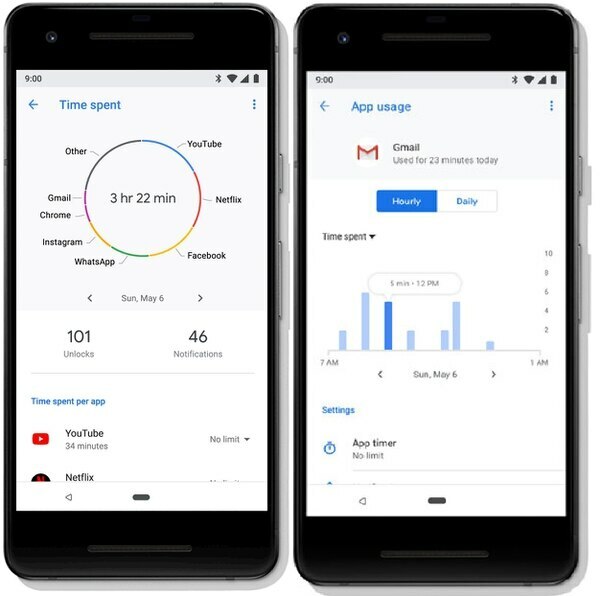 “It’s one of my favorite features,” said David Burke, vice president of Engineering at Google, who had not mentioned this feature due to lack of time during his presentation at the main talk on Tuesday. Gestural navigation. The new operating system offers new scrolling options to open the applications. Among them, a function very similar to that offered by the iPhone X, but from Google say it was in development before Apple announced: a “half Swype” up (not necessarily on the home screen) that opens a section with three parts: the recently used apps, a search bar and the applications that the system suggests, based on factors such as time, place or previous use. In this way, with the App Actions feature, the cell phone launches a prediction of what the user will do next. In this section, in addition, by sliding to the sides, you can move on to other open applications. And with a full vertical slide, the entire application menu is displayed. Android has not eliminated the buttons, a decision feared by some users, but gestural navigation makes the public less and less dependent on them.